“Communication was good and everything was processed quickly and efficiently”. “The service was smooth and updates on the order status were good”. “Sales person was informative and not too pushy”. “Nothing could be improved. I was extremely happy with everything”. “The Sales Executive made the whole process smooth & easy and kept us well informed throughout”. “They listened to the fact that I needed my car for a certain time”. “Sales person was very helpful in all aspects during demo and purchasing, was pleased with the whole experience. At present your sales and public relations in my opinion are second to none”. 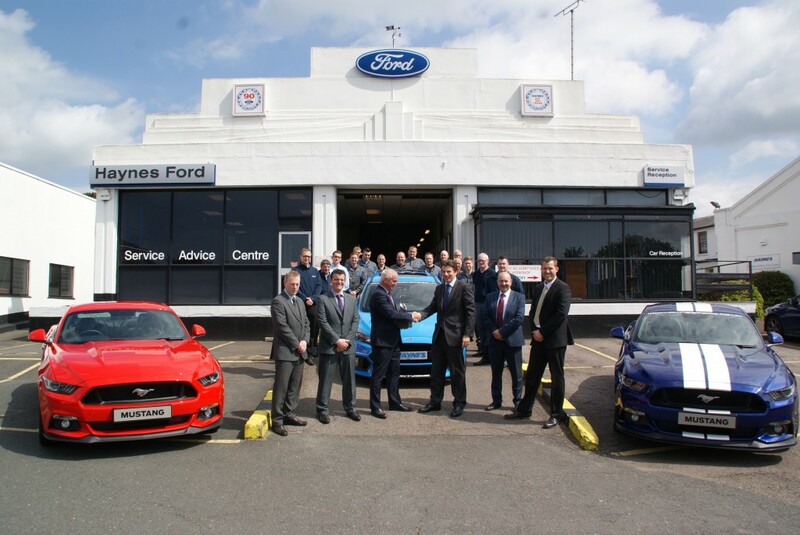 “Of all the Ford dealers I had visited in planning my purchase, I felt the salesman at Haynes was the most honest, hence why I bought from him”. “The way my concern was dealt with I honestly don’t think it could have been bettered”. “My sales experience with Haynes was brilliant. It was very informative. There wasn’t anything that they could of improved on”. “Very easy process. It was made very easy by the sales person. Very pleased”. “Quite happy with the whole experience as this was the first new car purchased by us”. “From booking my car in on the phone to it being collected and returned to me, I was kept informed every step of the way”. “I like the way you treat your customers”. “I cannot think of any improvements needed where I’m concerned”. “The service was done in good time, was back on the road within 3 hours”. “Staff are extremely polite, remember you by name and always happy to assist, a credit to Haynes”. “Very impressed with Haynes especially with the professionalism of all its staff”. “Great that I can wait in the service area and work”. “Very pleased with Haynes at Maidstone”. This entry was posted in feedback on June 22, 2016 by Kay Bangle.